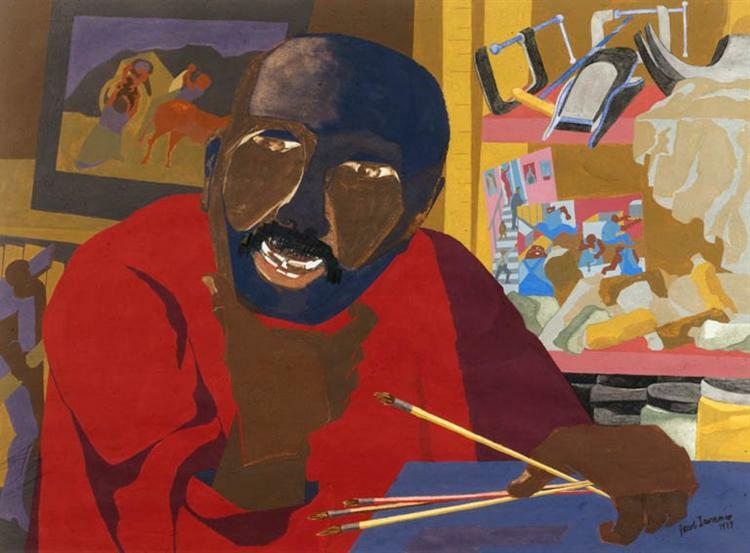 I had seen a few of Jacob Lawrence’s pieces from time to time, though I had never known his name. I was recently able to put a name to the pieces I had seen, and decided to read a little more about him and his style. It is a very distinct style. Many of his pieces having a moving, mesmerizing quality, but I will get to that later. I also want to take a quick moment to remind everyone about our Valentine’s mats, which you can still order in time for Valentine’s Day. Alright, back to Lawrence- seen above in a self-portrait. Lawrence also pointed to Cubism as one of his main influences. He mentioned Matisse specifically. 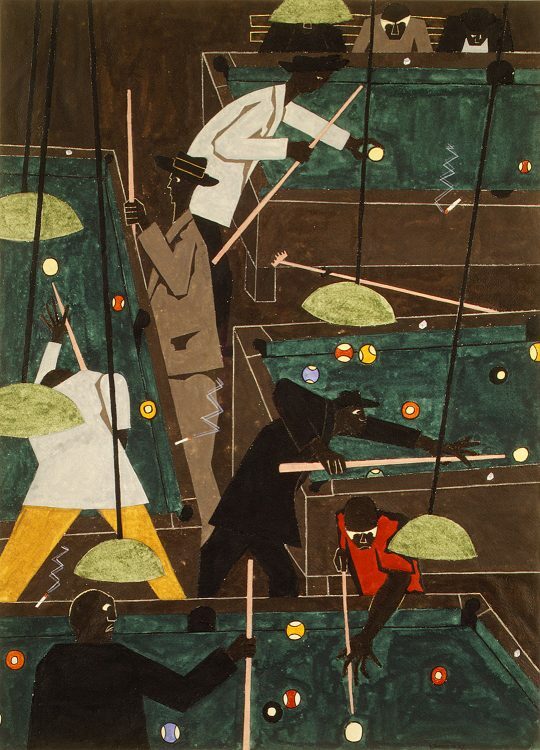 Looking at the piece above, called “Pool Parlor,” I can see it. I can’t say exactly what it is, I think more the overall arrangement of colors more than anything. Yet this piece feels like it has a sense of movement to it. I can almost see the various figures each taking their shot and moving out of the way in unison, almost like a dance. 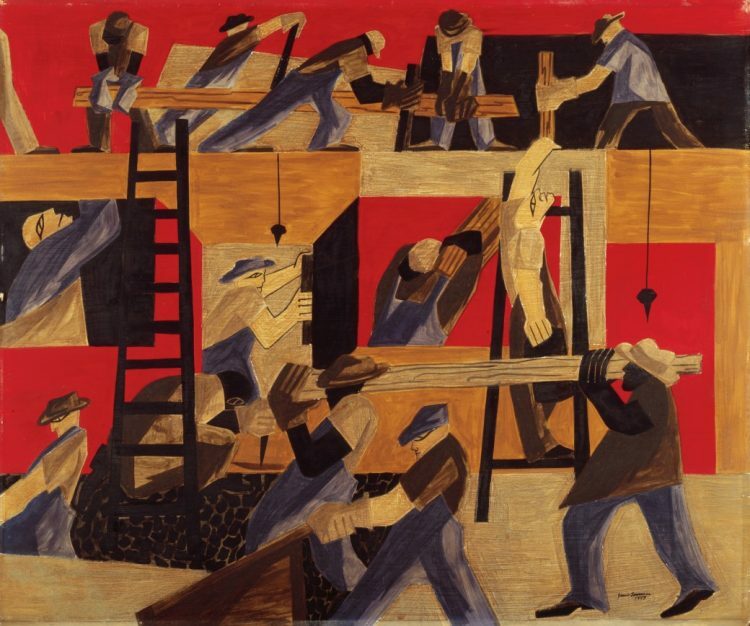 And finally, this piece, “The Builders,” is another great example of his work. 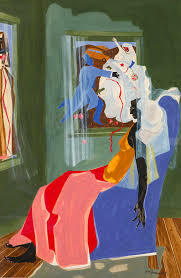 It reminds me a bit of the “Pool Parlor” with the large amount of subjects scattered around the painting. I also get the sense of movement from this one, but more the movement of a well-oiled machine, rather than that of a dance. This piece, and the others, show that the world around him were as much of an inspiration as any other painter. And if you’re feeling inspired, you can always order some custom mats to make your pieces really stand out.